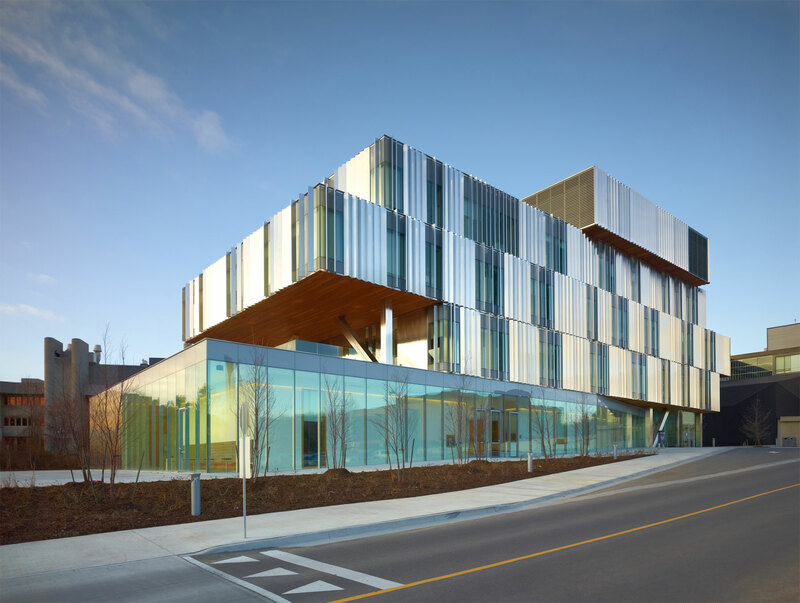 The Terrence Donnelly Health Sciences Complex at the University of Toronto Mississauga accommodates teaching and research facilities for three distinct user groups: the new Mississauga Academy of Medicine, the Department of Biomedical Communications and the Department of Anthropology and Forensics. 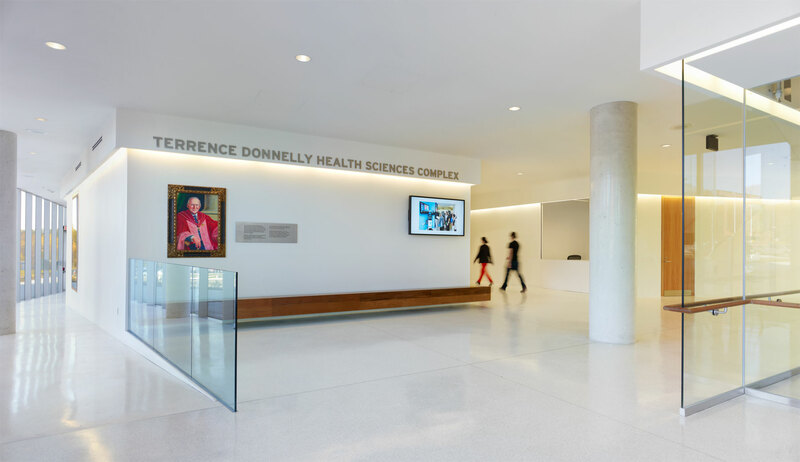 The stacked ‘boxes’ parti facilitates individual program space and adjacency requirements, with a focus on maximizing views and daylight. Residual outdoor spaces at each floor integrate the building with the site, while also providing communal accessible terraces with roof gardens. 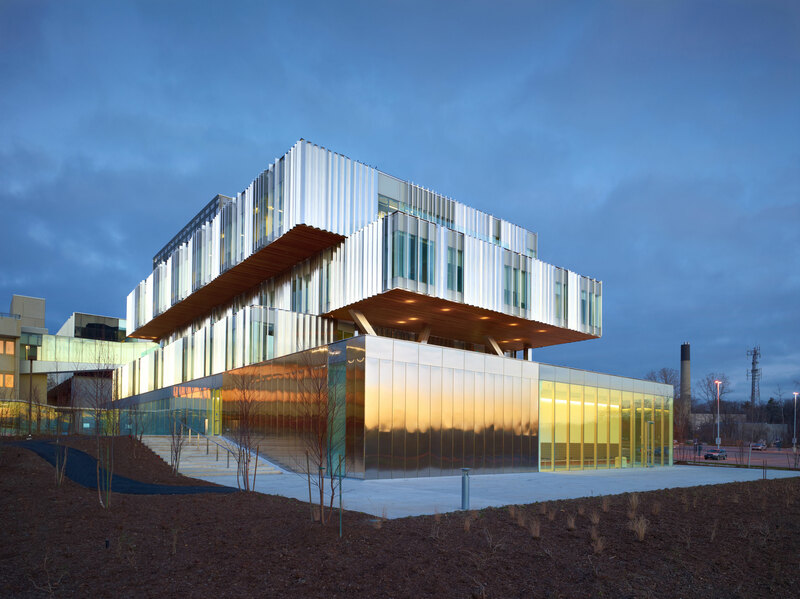 An innovative skin of glass and metal panels wrap the stacked boxes, and provide focused views and sunshading. "A large institutional building is articulated and humanised by skilful massing and the inventive treatment of the facade. 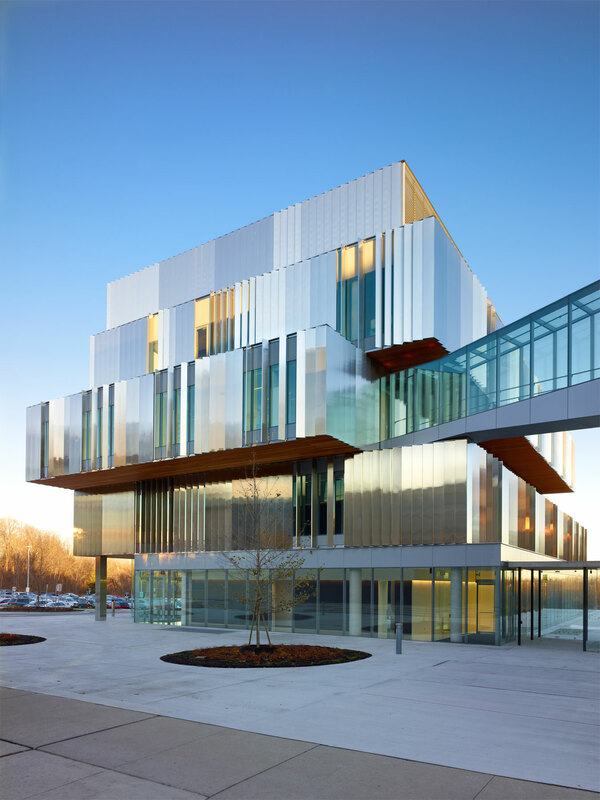 A cladding system of shimmering metal fins animates the stacked box arrangement of volumes, and gives the building a distinctive set-piece quality amid its campus neighbours. Interiors are luminous and civilised with ample natural light, and the sliding stacked volumes create terraces for encounter and engagement. 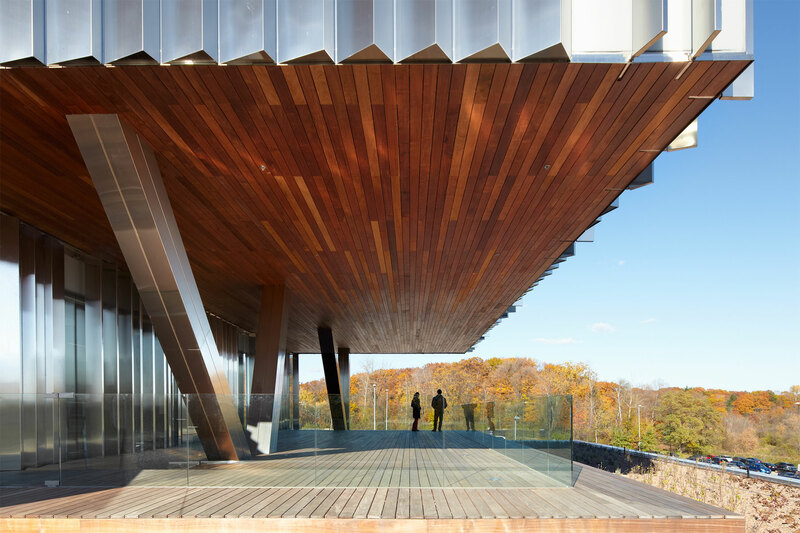 The quality of detailing is exceptional and the sophisticated use of materials lifts the building into a class of its own."